Beach Street USA Virginia Beach Boardwalk Music Festival. 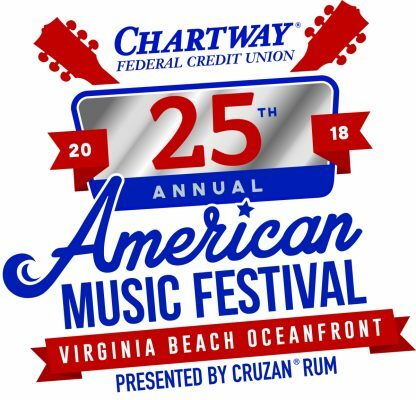 The Chartway Federal Credit Union 25th Annual American Music Festival, presented by Cruzan Rum, will feature four major headline bands on the oceanfront 5th Street Main Stage Aug. 31, Sept. 1 and 2. ZZ Top, Goo Goo Dolls, Ziggy Marley and SOJA will celebrate the event’s Silver Anniversary with the return of two of the most popular AMF bands ever. ZZ Top performed on the 5th Street Stage in 2011, and Goo Goo Dolls headlined in 2003. Friday, Aug. 31 – Ziggy Marley will co-headline with SOJA. Tickets are $20 advance, $25 day of show. Limited Preferred Viewing is $50 advance, $60 day of show if available.Friday, Aug. 31 – Ziggy Marley will co-headline with SOJA. Tickets are $20 advance, $25 day of show. Limited Preferred Viewing is $50 advance, $60 day of show if available. Saturday, Sept. 1 – Goo Goo Dolls will headline. Tickets are $20 advance, $25 day of show. Limited Preferred Viewing is $50 advance, $60 day of show if available. Sunday, Sept. 2 – ZZ Top will headline, Ana Popovic and The Josephines opens. Tickets are $20 advance, $25 day of show. Limited Preferred Viewing is $50 advance, $60 day of show if available.